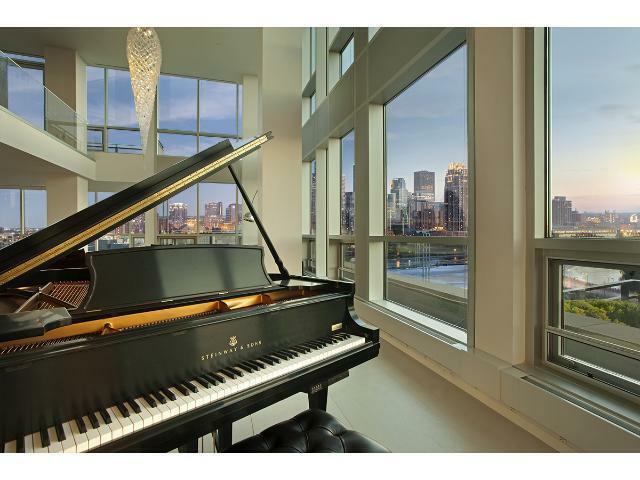 Stunning views of the Mississippi River and Minneapolis skyline from this two story Penthouse are yours to enjoy each and every day. Take this unique opportunity to personalize this penthouse home. Create the kitchen of your dreams and put your own stamp on just over 6,000 square feet of living space. An in-unit elevator takes you to the upper floor. Enjoy more than 600 square feet on 4 terraces.